The laser beam for a CO2 laser engraver passes through a focus lens which narrows the beam to a sharp focal point in order to achieve all sorts of applications using the same laser equipment, from fine detailed engraving to cutting thick materials. This is a guide to help you choose the best lens for your application. Gravograph offers five different sizes of focus lenses. All of our laser engravers come with a standard 2.0” focus lens which is a good general purpose lens. The available lenses are 1.5”, 2.0”, 2.5”, 3.5” and 4.0”. The smaller lens is better for detail while the larger the lens is better for cutting. 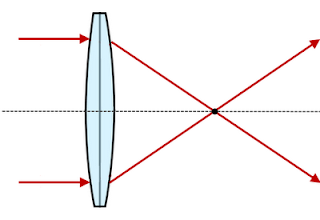 The smaller focal distances require flatter material as the working range is more limited. 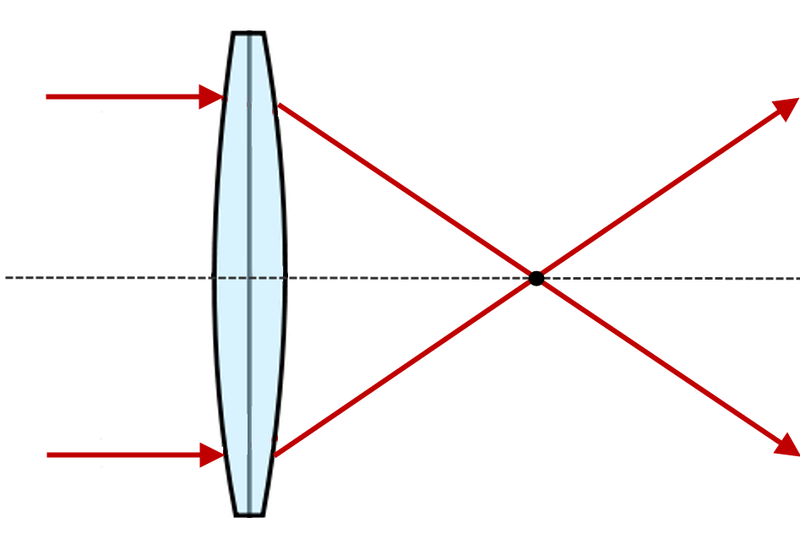 whereas the ideal focal distance is at the center of this ‘hourglass’ (seen below). The longer focal lengths have a taller ‘hourglass’, thereby enabling you to reach the bottom of hollow objects without penetrating the object with the lens. Typical processes = Ideal for cutting thin material (less than 1/16”) and fine single line images. Subject to beam splatter due to being so close to the part. 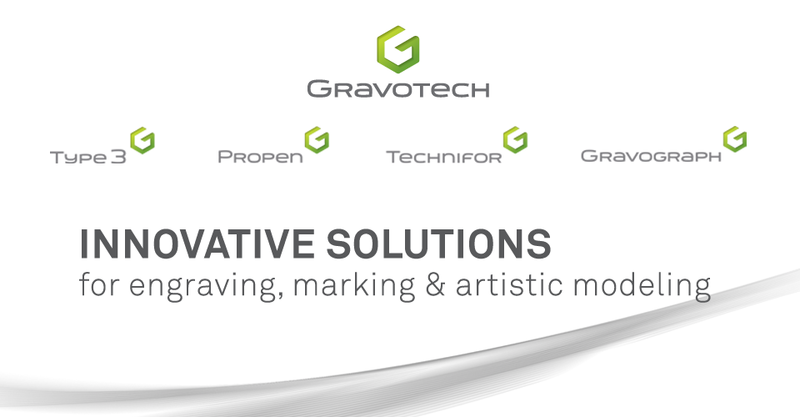 Also great for high resolution raster engraving above 600DPI (dots per inch). Typical processes = The best general purpose lens, good result on cutting and engraving. This lens comes standard on all Gravograph laser engraving systems. Typical processes = Good power density for rubber stamps and engraving, also good for thin material cutting. Typical processes = Wide beam, makes it good for large area material removal and parts that require extra clearance. Typical processes = The best lens for thick material cutting. The information covered in this technical tip are general guidelines. By using the proper lens for its intended application you can obtain exceptional results.